It’s the New Year and it marks six months that we’ve been sending out our monthly crates. Some may say this is cause for a celebration and we would have to say back, we are. It’s been a great journey from fruition to launching and we thank you all for being with us throughout. Inside of our January 2018 crates, we have an eclectic array of goods. 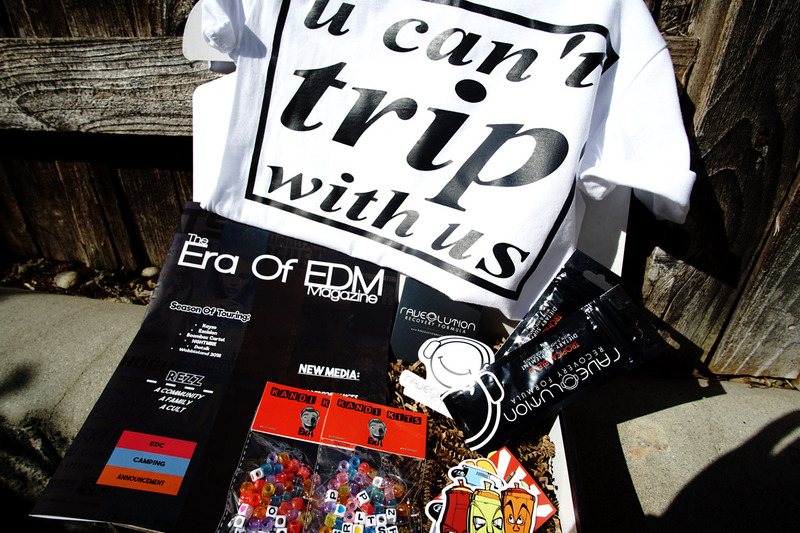 From new partner products to gangs of stickers, kandi, our magazine and a new quip shirt – “u can’t trip with us”. Let’s dive into The Era Of EDM’s January 2018 Crate! Take a look below at each item we included and let us know what you think. Our “u can’t trip with us” graphic tee was a big hit within our January box. 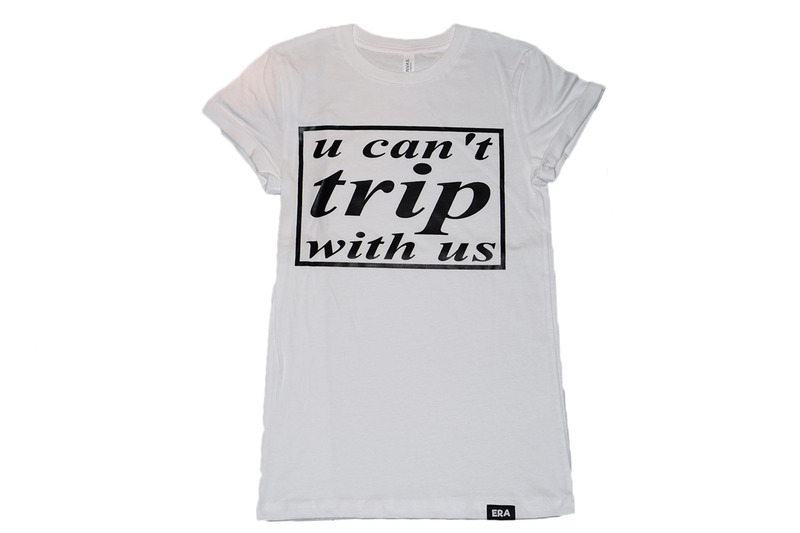 Printed on an airlume cotton unisex rolled cuff tee shirt. The fit is amazing and the feel of this pure white tee is like butter. So soft. The rolled cuff adds a layer of style to the classic t-shirt look. 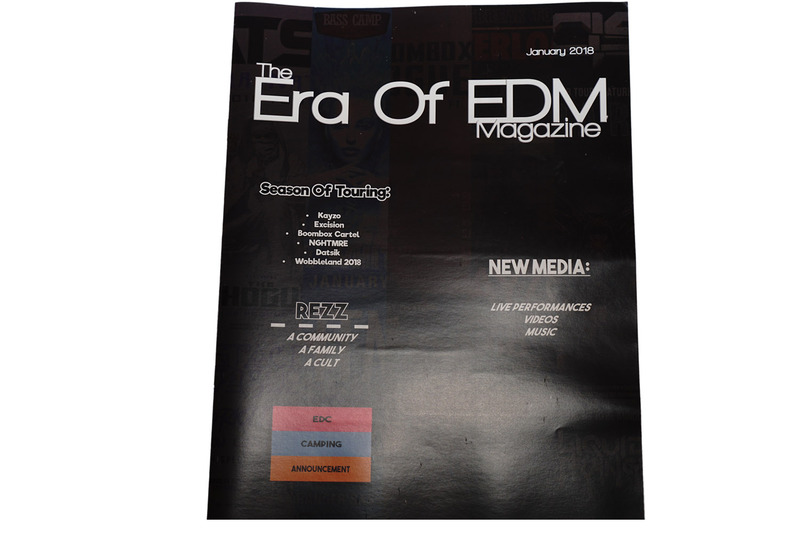 This months magazine was full of tour announcements from artists like: Kayzo, Excision, Datsik and more. Plus we made sure to capture the magic that is EDC’s camping announcement. Also included was new videos and media from some of today’s most influential artists. 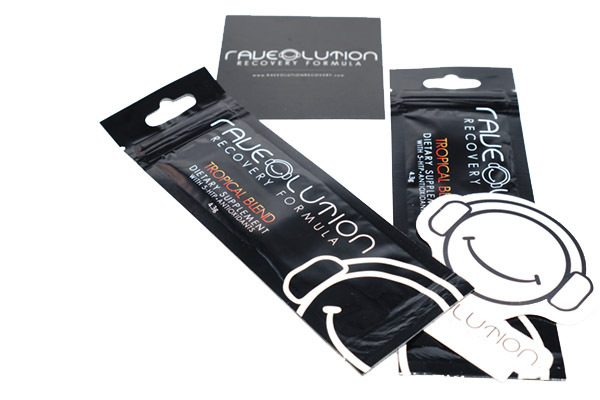 We partnered with Raveolution to include their recovery formula in our boxes. I can tell you, we used these periodically during the weekend of Snowglobe and they kept us in tip-top shape for the next day. Just pour one pouch into a standard size waterbottle and sip until it’s gone. They recommend taking before or after your show. From our experience, taking it before the show was clutch. Their formula consists of all the good stuff your body needs to rejuvenate. They are gold and will be a item we include in our boxes regularly. Every month we refresh your stock of what you need to add to your kandi wrist. 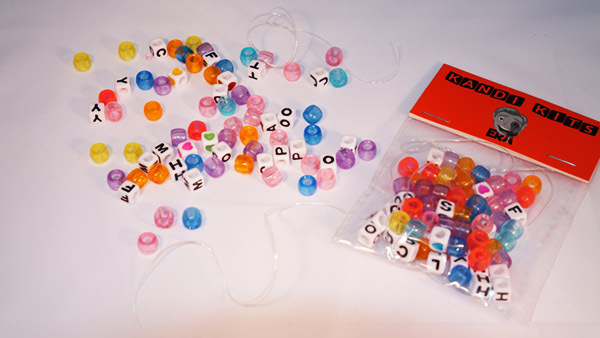 Two packs of our kandi kits will make four elastic bracelets. It’s quite literally the adult raver version of finding through a candy shop. Just envision yourself tearing that packaging and entering a kandi making utopia. 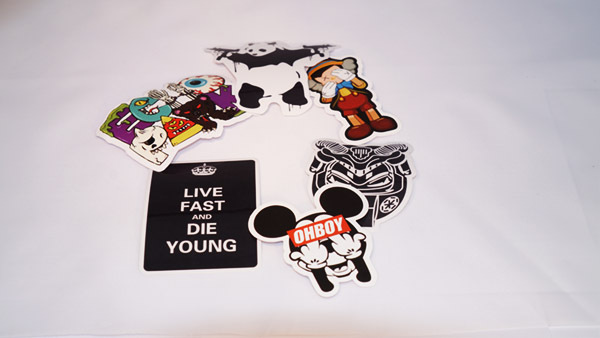 Everyone received a handful of awesome, quirky, gag or funny stickers to add some flair to that rave or festi-outfit. Stick with them wherever you please!